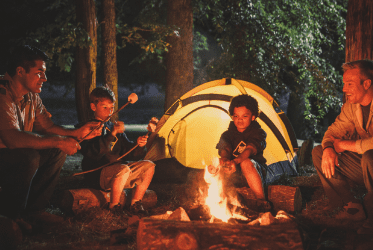 Many Cub Scouts want to do stuff outdoors, including camping. It’s probably why they joined in the first place! In order for your den or your entire Cub Scout Pack to have an outdoor activity or go camping, you must have someone complete the Basic Adult Leader Outdoor Orientation, also known as “BALOO”, training course. BALOO Training is made up of two parts: an online course available on My.Scouting.org, and an in-person, hands-on course. You must complete both parts to qualify as a trained outdoor Cub Scout leader. The hands-on course involves camping overnight (after all, that’s what the course is about – camping). You’re going to learn a lot, from cooking to first aid to campfires to hiking to aquatics and much, much more. You can complete the online part of the training anytime through the Training section of My.Scouting.org. The in-person, hands-on outdoor part of the training is generally offered in the fall and spring in different areas of our council (the “council” is made up of all 15 counties we serve in Central Texas; the council is split up into geographic areas called “districts” along school attendance or county boundaries). We try to schedule the in-person courses to be available right around the same time as our fall and spring recruiting periods, so that as new adults join Scouting with their children, they can get trained as quickly as possible. Take the online part of the training by logging in to My.Scouting.org (if you’ve never visited this site before, you’ll need to click the “create account” button and then follow the instructions; have your BSA membership ID number handy). The in-person, hands-on part will take place at a camp property owned by the Capitol Area Council (that’s us) or a different campground that’s a favorite for Scout units in your area. There is no cost for the online part of the training through My.Scouting.org. The hands-on outdoor part of the training will include a fee (typically $20) to cover some of your food plus additional program materials you’ll use during the training. You don’t have to register to take the online part of the training through My.Scouting.org; just log in and start taking the class modules. The in-person, hands-on part of the training will require you to register online. Visit our Events calendar to look for an upcoming course near you.